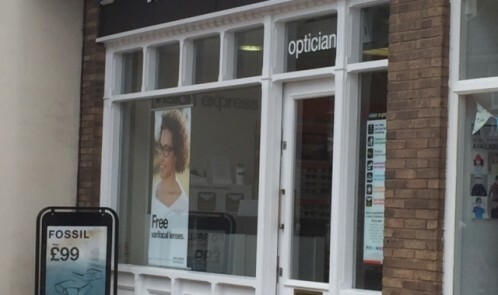 Vision Express is offering a free eye test to everyone in the UK from later this month. It allows for a free eye test to be redeemed from 21 September until the end of October 2015 at any of approximately 400 Vision Express stores across the UK and Ireland. To reinforce its commitment to eye health, Vision Express has also commissioned its Vision Van for a second consecutive year. It will take to the streets during September in eye health ‘hotspots’ in London, Bournemouth, Cardiff, Hull and Manchester, and is open for testing from 10am to 5pm. While the NHS recommends an eye exam every two years, just over half of adults in the UK only visit an optician once every five years, with 8% never having had a sight test. At each Vision Van location, the public will be invited to have a comprehensive 30-minute eye examination to best practice guidelines of the College of Optometrists (COO). It includes an eye health screening and uses Optical Coherence Tomography, carried out by an expert optometrist from Vision Express. Monday 21 September: Marble Arch, because (City of) London has the poorest uptake of sight tests in the UK and has the highest number of people with glaucoma (1.4% of the local population) and diabetic retinopathy (2.9% of the local population) in the UK. Tuesday 22 September: Bournemouth because it is the largest town in Dorset, which has the most macular degeneration and cataract sufferers in the UK (8.5% and 1.6% of the local population, respectively). Thursday 24 September: Hull is one of the top ten areas of the UK for heavy smokers, with an average 30% smokers, and there is a proven link between sight loss and smoking. Plus, it is a top five area for poor diet, with 27% of the local population eating fewer than two portions of fruit and vegetables a day, which also impacts eye health. Friday 25 September: Manchester, which has 49,200 stroke survivors7. It is within the top five areas in the UK for concentration of stroke survivors – and up to 60% of stroke survivors experience visual problems. Residents in Manchester are 48% more likely to be heavy smokers than the national average and over a quarter (27%) eat fewer than two portions of fruit and veg a day.